There is no doubt that exercise is significant for people to be able to stay healthy. 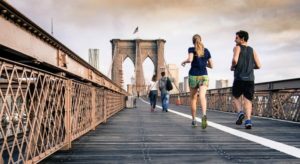 The benefits of exercising on a regular basis have been proven by different researchers over the years, but it has become even more important in the last decade or so. It is no myth that some people are more intrigued by exercising than others, and there are a lot of reasons for it. Exercising is often seen as very tedious self-torture that doesn’t always obtain the results people want to see. It is often associated with excruciating pain, discomfort, and even embarrassment. There is nothing more terrible than walking into a gym already not feeling very confident just to be met with a bunch of muscled men and super fit women. It just takes the wind out of the sails, and people turn around, leave the gym and never come back. Ensure that you are comfortable while performing the exercise. While you are on your stomach, extend your arms and legs and lift them a little bit off the surface. Hold them up for five seconds before lowering them down again. Repeat ten to fifteen times. It seems easy, but it will certainly use all muscle groups you have and might prove to be harder thank you thought at first. You can start without anything and introduce dumbbells progressively. If you don’t have dumbbells that are completely fine, 0.5l bottles of water will work as well. Hold the dumbbells/bottles and position your legs so they are as wide as your shoulders and firmly on the ground. Slowly lower yourself down as if you were doing a normal squat, distributing weight on your heels and lean a little bit forward. When you get lower, slowly raise your arms to 10 and 2 o’clock level. Then get up. This is a classic exercise everybody has done at least once in their lives. Lie on the floor (use a mat so you are relaxed as much as possible) and put your hands behind your ears. Left one foot up till your knee is pointing to the ceiling. Extend and raise the other leg slightly up and then to a little bit of cycling.It should look like you are riding a mountain bike. Another classic exercise that needs to be done correctly to avoid strain and injury. Place your hands on the floor and your feet should be positioned apart around hip-width. Don’t allow your head to drop or your shoulders to sag. Also, do not tilt head or fold it in. Keep a straight line and slowly bend your elbows, going down. You can start by allowing your knees to touch the floor. If you need more stability, put your feet wider apart while keeping your back straight. Let the shoulders come close to the ears. Your elbows have to be close to the body. While doing regular pushups, tighten your stomach muscles, breathe normally. However, when you complete a push-up, turn the body to the side and pick up your leg and arm off the floor, doing a kind of plank on the side. Do it with one side, then the other for about 10 times and then rest. If it is becoming difficult for you do not hold into position for a long time. While doing the traditional push-ups and keeping your muscles tight and back straight, lift one of your legs a little bit off the floor after 6 to 10 pushups. It will add some more challenge to the classic push-ups. Do it with two legs. If you are new to exercise, this should be fun for you. This will tone muscles in your arms as well as improve your natural posture which is important for your overall well-being. Hold dumbbells when you do the lunges the normal way, then stretch out your arms down and allow your chest to go down too. Straighten the leg in front while pushing the elbows backward and squeeze in the shoulder. Jogging is one of the best ways of exercising. However, if you don’t want to do it outside, you can easily put on your favorite music and jog on the spot in your own home. It will improve your overall muscle tone, heart health as well as balance and vestibular system. Aerobics and Zumba work too, and you can do it at home. If your family have a history of heart diseases, you should consider cardiovascular workouts also your blood pressure will be in control. Do normal lunges and after you are fished, place one leg behind and the other in front of you. Your arms should be straight behind you when you move out of the position for a kickback. Repeat for each leg for at least a minute before you take a break. Then continue for another minute. Lie flat on your back, it should be preferable right after the bicycle exercise. Place the soles of your feet straight on the floor, bend your knees so they point up and place them around hip width apart. Your abs should be contracted and then you should lift your hips up. Don’t let your shoulders rise up, just raise your hips. Repeat 10 to 15 times, then rest and repeat another 10 to 15 times. Keep breathing. It is a short little exercise that is surprisingly effective. While still on your back on a flat surface, stretch your arms out up above your head, make sure your tummy muscles are nice and tight. Lift your legs and arms up and try touching them in the air. You can put a little pillow or a towel under your back for stability. Short, quick and then rest. Repeat 5 to 10 times for maximum results.While doing this, you are utilizing more than a dozen muscles and it is also one of the best abdominal exercises. If you have an opportunity to use stairs instead of an elevator at home or workplace – do it. It will give the cardio you need, you can boost up the process by carrying shopping bags in both hands. It will use the leg muscles, toning them in the process and then if you want to interpret the same movement in exercise, you can easily do that while toning your arms too. Have the dumbbells or water bottles in your hand and do the climb. Curl biceps at the same time for half a minute. Remember, one of the most important things is a balanced diet. Of course, it is important how often you set time aside to do the exercising, but it cannot replace a good diet. Drink plenty of water so your cells have time to wake up in the morning and stay alert during the day. Dehydration can cause lethargy and headache, so don’t let yourself get to that point. You can have your favorite food and not starve yourself if the portion size is correct, so give it a try and start the journey to a new you.Some individuals think that starving can help lose weight but that is not true.